The Signal Tactical Functional Area Assessment (FAA) conducted a top to bottom look at the challenges facing the Regiment in supporting Army full spectrum operations during the 2014-2018 timeframe. The analysis showed that the Signal Regiment had operational gaps that must be addressed. Today’s organizational structures cannot provide full ARFORGEN coverage for units without embedded Signal elements. 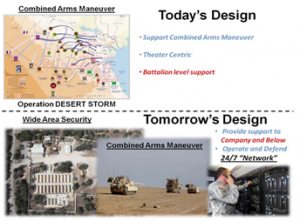 The unsupported units include Theater units, functional brigades and battalions, and maneuver companies. 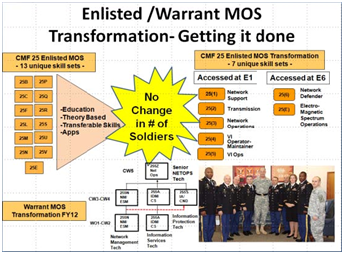 The modular force does not provide the training and leader development in embedded Signal forces; and the Signal Regiment is unable to rapidly field evolving cyber technologies into the force due to an antiquated industrial age acquisition system in order to provide Mission Command Essential Capabilities (MCEC) to the Warfighter at all echelons. The FAA analysis compared the Signal Regiment’s current missions to its future mission requirements as outlined in the Army Capstone Concept (ACC) and Army Operational Concept (AOC). Today the Signal Regiment is organized to support combined arms maneuver, provide support to battalion level, support the ASCC as the Warfighting Headquarters, and provide theater centric network services. The new AOC requires the Signal Regiment to support combined arms maneuver and wide area security operations, extend support to company level and below, support Corps and Divisions as the Warfighting headquarters, and operate and defend a 24/7 Army single network enterprise. 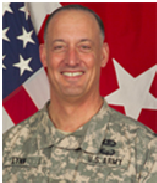 The Signal Center of Excellence (SIGCoE) developed a course of action to address the gaps identified in the FAA analysis, provide MCEC to all echelons, and meet the following three immediate network capabilities required in the Army network modernization strategy; provide beyond line of sight connectivity, provide mission command on the move, and integrate the Soldier into the network. 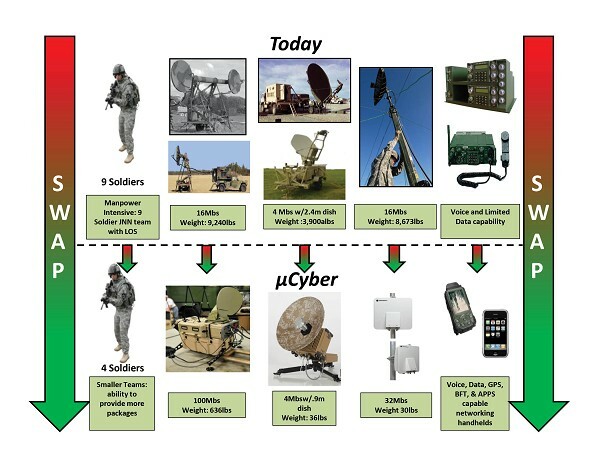 The current Warfighter Information Network-Tactical (WIN-T) and Joint Tactical Radio System (JTRS) programs of record provide the mission command on the move capabilities and integration of the Soldier into the network, but do not provide the capabilities to fully network the force in support of the future vision. To obtain the additional capabilities required to develop a fully networked force, the FAA focused on transforming the Expeditionary Signal Battalions (ESB) to a more modular organization with increased deployable Signal capability without increasing the personnel end strength. The ESB will be converted to an Expeditionary Signal Battalion – Enhanced (ESB-E) consisting of smaller, more transportable, modular, scalable network support packages fielded with the most current commercial technologies available. 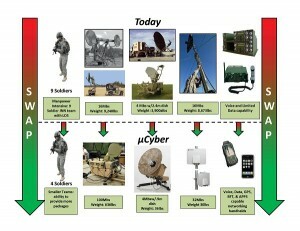 The network support packages, termed Micro-Cyber (μCyber), are the future of the Signal Regiment. μCyber will provide Mission Command Essential Capabilities across all echelons. The Regiment will transition the Signal Military Occupational Specialties (MOS) to develop the multidisciplined Soldier required for μCyber. The current 13 MOSs will be reduced to 7. μCyber institutional training will transition from pure assemblage training to an educational approach providing the knowledge to understand, and transition between, continuously changing commercial technologies. Digital training applications will be developed to support the Soldier’s learning of new equipment versions in support of their base education of network theory.